Closed for lunch from 1:30 - 2:30 Monday - Friday and 1:00 - 1:30 Saturday and Sunday. The customer service is excellent! Ivan was very informative and really helped us find the best solution for our storage needs. Great Service. I have been a long time customer. The staff is always courteous and security has never been a problem. Had amazing customer service since I walked in. The manager was very helpful and informative of the facility. He made sure the unit was ready for me to take stuff in. Giving me a very thorough explanation of how to access the facility. Was very professional and helped me in everything I needed. Will definitely rent here again and also recommend it to other people ! Thank you ! i'm a senior, this is the best bilingual customer service i ever had, the manager ivan espinoza is a really good man, i highly recommend this place to any senior citizen , i got a senior discount, and he also signed me on the referral program. i really like the service and attention i receive from the manager,my request will be if you can extend the gate hours. thank you! Overall, I had an excellent and friendly time with your staff member Gaston. He answered all my questions, drove me to and back to my unit. Had an excellent time with him. It is a good place, I got good service and they were very attentive with me. I'd like it better if you had 24 hour access. I have bought a couple of units during a storage auction and found the manager Ivan Espinoza to be a tremendous asset. He is very professional in his position, very courteous and attentive, something very hard to find these days. I want to commend your company STAXUP for hiring such professional personal. I will be going to various sites during the next months and I will do some comparing. But for now I give your manager a thumbs up. I made a phone call, and got all the information I was looking for. Very humble and respectful workers ! I am very satisfied with the service that was offered to me. The guy that helped me, Gaston, was very detailed and patient with my many questions. Thanks for the great service! The manager Ivan, is a fine representative of Staxup Storage, he is courteous,and helpful. great customer service, ivan went the extra mile helping us, he is always available when you need anything. Ivan was incredibly helpful. He answered all my questions and quickly took care of necessary paperwork. Although our storage needs are short term, I would highly recommend this facility to others for long or short term rental. The gentleman in the office had no problem helping me find the appropriate storage spot that I needed for my stuff. This is a good place to store your things if your are thinking of needing one. I would recommend to anyone. This place is the place to go. Great C service, and young man did not hesitate to go out of the way to help us with what we needed. Thank you much young man. Javier Rodriguez was very helpful, excellent communication, great guy in all. Javier was very attentive, respectful, courteous, and answered all my questions. He is definitely a peoples person. It's made me feel very comfortable. The website is difficult to find and it is very slow in refreshing to the next screen. I am glad I came here after learning that the u haul in el centro had neglected to tell me that my order was in a different city. I was very disappointed AND THE SERVICE HERE MADE UP FOR IT. THANK YOU. This man is amazing. He help us when we needed it the most. He went out of his way to help us for our Daughter Sidney Grubbe. Thank you very very much from the bottom of our heart. Javier Rodriguez helped us on our way to Disneyland, for our nieve that was granted her MAKE-A-WISH. Our car broke down as we were driving. He was able to Hugely help with the cost and number of days with the trailer. I thank him &StaxUpstorage & Uhaul for helping us help HER DREAM A REALITY!! Enjoy the manager's facility. It's nice and clean organized, I feel safe and secure. I love the staff atmosphere. Would recommend to other people. Javier was very friendly, and helpful. He helped us find the unit that fits our needs. Very comfortable storing things here. Exelente servicio muy atento y explica todo muy bien. Punctual y sincere, sin pensarlo volveria a rentar de sus servicios. Javier Rodriguez is like the bomb the coolest guy ever. He is really helpful and caring to everyone not just me. He is getting a lot of stuff fixed here. Amazing because I've had a storage here since it was 10 dollar deposit. Thank you Javier, and we love you for it. un buen servicio por el encargado para con el cliente. 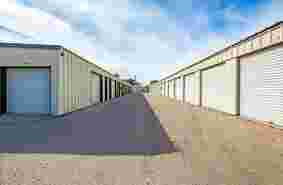 The storage company has been very accommodating and professional whenever we have needed them. Thank you. Resident Manager went out of his way to attend me during his lunch. Good Security a plus. Staff has always been more than helpful. No Complaints! I had an amazing visit, quick, easy, and affordable. Excellent service! I was extremely satisfied! Thank you Javier! Muy buen servicio y muy atento en su trabajo... Gracias. I really like the care and kindness that I get plus it's nice and clean. Great service and staff is always helpful. Thank you for all things. Mr Javier Rodriguez was very polite and helped us along this transaction. We felt very comfortable with Mr. Rodriguez. I was extremely satisfied with the excellent customer service from Javier. Also, I am impressed with the cleanliness of the facility. Thank you! Very good service, excellent and on time with service. We were treated very well while we were here. Thank you. Enough space to storage stuff great different sizes of storage too. Chris and Gus have been just so great, they're wonderful ive been rentnig for 20 years and this team has been the best thus far. Thank you. gus has been most accomadating and curteous! Give him a raise. I recommend your storage! 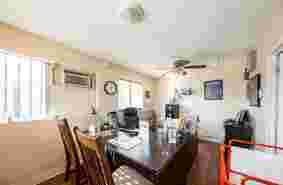 Friendly knowledgable staff and very professional clean and efficient office. Awesome Service thank you for being such a big help after my move from TN. Customer service was great! very happy with the service i received. Gus helped me and he is an excellent asset to the company. The prices need to come down especially after being here for 5 years, As for the employees they are great. keep up the good work. 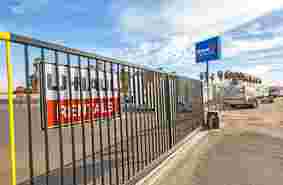 Had a very nice experience with uhaul and the manager thank you for being so courteous. Customer service was very good thanks for everything Gus its appreciated. Gus was very polite and both him and chris make a great team communicating providing great customer service. Awesome staff! Super quick check in and friendly, Gus & Chris were super helpful and made this a very pleasant experience! They were great they were very helpful and went out of their way to get me the service i needed. Always very courteous and always answered the phones or returned all my call too. Very great customer service, Gus has always been helpful and courteous. Excellent service very helpful, pleasure to work with you guys. Gus was very helpful, he let me know everything I needed to know about my unit, He was very polite and super nice. I'm happy we decide on storing with you. I went there the other day to get some things from the storage unit I share with my husband and I completely forgot to get the keys, luckily I had some help from a guy who works there named gj to help me out, thank you for everything gj!!! Service was great. Manager was friendly, and quick on getting me the storage i needed. I came in today with My husband looking for a storage unit and I really liked StaxUp. Everything was nice and clean. The office manager was welcoming and nice. I had a fun time talking with her. I will be purchasing a storage locker from Brawley's StaxUp thanks to your wonderful store manager. Customer service was great. I really appreciated it in my time of loss. Awesome service. We'd highly recommend 'em. Just started rending my unit and the service has been welcoming plus great. I have a unit here @ StaxUp Storage since 2005 and the has always been very good. came in the office to ask on information on prices for a uhaul and storage, the manager was very helpful and she had a great attitude. your manager Michelle is so pleasant. I really appreciate her consistently upbeat attitude. She's a keeper! 05/30/2013 I've had no problems. 05/30/2013 Michele gives very good customer service-she returned my call & a very professional woman. Excellent and very fast service. 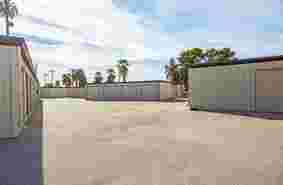 I am very happy with the service I get from Brawley StaxUp Storage. I will recommend anyone to store their belongings with them. Great Service and Very Helpful.....Friendly Too! Great customer service, employees are very helpful and knowledgeable. I love this place I have been here since 1990 & everybody is wonderful to me. I also like to bring change for them. I am very happy here. Such a wonderful manager Michele Cosio. the space was very clean and easy to get to. Always a friendly service and #1 on storage..."THANKS"
Michele gave me really great customer service, she knows what she is doing. I came in today to look at a 10X10 The customer service was excellent, I am definitely going to rent from this storage place when it comes time. It seem very secure. Best place in the area. I've stored my things here three times. This facility have excellent customer service, and a it is very clean. you will not find an other storage facility like this one, manager was great, property is very clean, i couldn't ask for more. thanks. I got a nice discount from the website and the staff are friendly. I am satisfied overall with the customer service and the price! Great customer service and knolage of his work. Also rent uhauls. Neat and clean. The manager Ivan gave us fast and great service. Was patient with explaining our storage options. I highly recommend Stax Up storage. It was very easy to get a storage and to get a uhaul truck to move out all my stuff. It was pretty cheap for a very nice storage unit! I would use it again next time I move. Also the communication with the worker there was very good, he told me everything I had to know and how much I would be paying. 5 out of 5 for the good service! I am very satisfied with StaxUP Storage. Their service is fast, convenient, and amazing. I will definitely continue with their service. I particularly want to thank Gaston for his help. The storage itself is great! The driveway is really easy to miss though. Ivan is the best! Thanks for making my move less stressful. The customer service we received was the best! Ivan was very friendly and knowldgable. The unit was clean and secure. Definitely recommend StaxUp Storage! Thank You for making our move easier. The current management team at StaxUp Brawley is top notch! They came in after the last team and cleaned up. They helped me with a charge that lingered on my bill that the prior manager unfairly assessed. But most recently, I got a surprise call from my movers on a Friday afternoon that they would arrive at my storage unit within 48 hours. I was unable to delay their arrival so I called upon my friendly StaxUp professionals and the move went smoothly. I FedExed my storage keys to Andrew (I live 1100 miles away) and Andrew coordinated everything. I was greatly relieved to know that my move was all taken care of from so far away. These guys are super friendly and professional. Got stuff to store (or hide from relatives?)? These are your go-to guys!!! Very personable staff and amazing customer service. Manager Ivan Espinoza is always very helpful! Ivan Espinoza was a very knowledgeable manager of the facility, he understood my situation that I needed for my property. you have a AWESOME EMPLOYEE!!!!! Very professional and friendly staff, clean facility, highly recommend to friends and family. Store you things the safe here with friendly staff and a clean place. Great costomer service . Good customer service, I just wish the units were more sealed to protect from outside dirt/dust. Great customer service! I have never had a bad experience here! 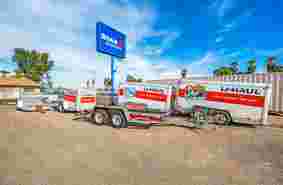 I've used both their storage facilities and their u-haul rental service and would recommend them to anyone! This is the second time in as many months that I have had the pleasure of doing business with. I found the office personal both knowledgeable and up beat. Always with a smile. Thanks Javierr for a most welcome service. I recommend Staxup to anyone. 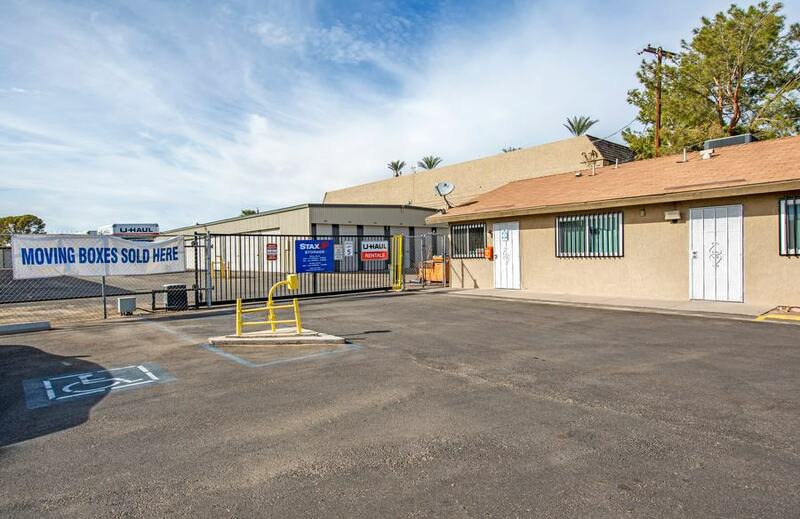 For the best self storage in Brawley, CA, come visit us at StaxUP Storage! We offer fantastic storage features at affordable prices, and our location can’t be beat. You’ll find us at 4223 CA-86 behind Pioneers Memorial Healthcare. Our proximity to CA-86 makes us easily accessible from Brawley, Citrus View, and Imperial. We’re eager to provide you with the storage unit you need to make your life easier. Come visit us and we’ll help you get started right away! Let our experienced, customer-oriented staff make your day easier. We set high standards for ourselves and your storage experience here at StaxUP Storage. Our mission and values set the stage for the best storage experience you can find. Our goal at StaxUP Storage is to provide you with all of your packing, moving, and storing needs, so we sell all the moving supplies you could need right here onsite. Boxes, tape, locks, and even U-Haul vehicles are all available through our office. When you’re looking to unclutter your space, bring it to StaxUP Storage in Brawley! WOOPS! If you’re here from our newsletter and looking to find a story on Home Staging in Southern California, Click Here. 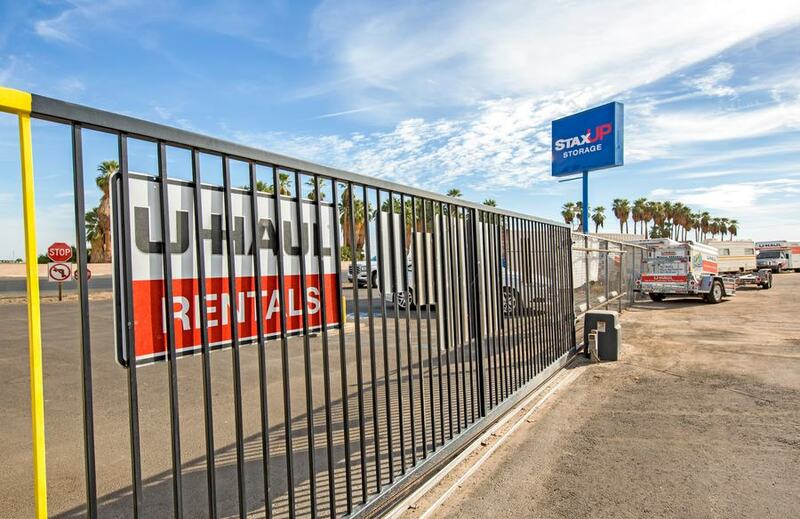 Announcing a Customer Appreciation Day at StaxUP Storage in Brawley, California! We love hot dogs, and we definitely love our customers. What could go wrong by bringing the two together in one wonderful collection of satisfied customers? Come by, say hi, eat a dog or two, pay your rent, just think of all the fun things you could be doing! HAPPY 1-YEAR ANNIVERSARY TO IVAN ESPINOZA! Here at StaxUp Storage, we know our success is due to our wonderful team. The care they give our renters is unparalleled and we want to highlight their milestones along the way. Below is an interview with Brawley, CA team member Ivan Espinoza, who is celebrating his 1-year anniversary with StaxUP Storage this week. 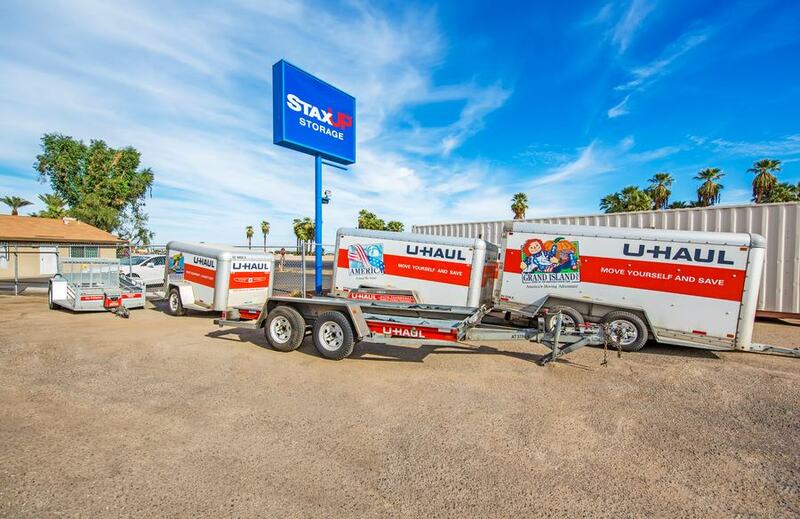 You can see Ivan at StaxUP Storage in Brawley, CA. Ivan is the manager at StaxUP Storage in Brawley, CA. Peter: How did you start working in self storage? Ivan: I’m from the Valley and in January of 2016 moved back from Washington, me and my wife decided to move to Mexico until we found new jobs. Staxup Calexico is nearest storage to the border so we rented a unit there, we only used the unit for about a month and every time I went to the facility, I was looking for a job, so I had all kind of forms/applications on my truck. it was one of the guys working there who asked me if I was looking for a job and gave me the info to apply for the job. Peter: What’s the best thing you’ve learned while working for StaxUP Storage? Ivan: To be patient. I thought that my previous job was stressful, dealing with 100+ providers and buying millions of dollars on supplies. I learned that sometimes 1 dollar is more important for our customers that those millions for the companies I was buying from. Peter: What is your favorite self storage story? Ivan: My favorite story, has to be when I saw the unsolved crime show on TV, and recognized a tenant we had on this facility. Peter: What are your hobbies when you aren’t at your facility? Ivan: I like to spend time with my family and since I’m back at the desert, off roading. Peter: What’s your favorite thing to do in Brawley? Ivan: I usually go out of town every weekend, San Diego and the Baja(Mexico). I barely know Brawley. Peter: What’s your favorite restaurant in Brawley? We strive to make sure our tenants are well cared for and feel appreciated. One way StaxUP Storage in Brawley, California does this is with their annual Customer Appreciation Event. Ivan says that this is their way of letting the customers know that they really care and also receiving feedback on the customer’s experience with the facility. It’s not always easy to get to know tenants according to Ivan, but having an event like this is crucial to building trust, so they feel comfortable sharing their needs and desires with the facility management team. Afterall, Ivan agreed that he wanted the facility to be a close community of staff and renters. We’re happy that StaxUP Storage in Brawley, California was able to have such a fun event for everyone who attended, and really tip our hats to Ivan and Assistant Manager Gaston Gomez for making it happen year after year! We want all of our customers to know how important your business is to us. While we try to show you that with our commitment to service every day, we know that a hot dog, a cold drink, and some friendly conversation is a fun way to make that happen too.